Minivans are a vehicle built for hauling—perfect for those who have young children, or personal belongings like sports equipment or large items to haul. Minivans are perfect when taking road trips and daily treks around town. For their ability to move people and things, minivans have long been praised as the best cars for families. However, the vehicles have also caught the eyes of retirees for some of the same reasons: easy access, high seating positions, and lots of passenger and cargo space. 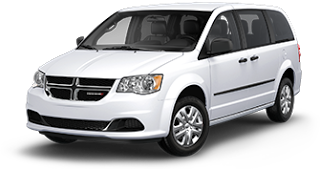 Buyers looking for a new car should consider the 2016 Dodge Grand Caravan at Melloy Dodge. It's not only one of the best cars for families, but its capabilities are attracting others. The minivan can seat up to seven passengers. Its cargo area measures 33 cubic feet but increases to 143.8 when all of the seats are lowered into the floor using the Stow ‘n Go system. All 2016 Dodge Grand Caravan come with a 3.6-liter V6 engine. It kicks out 283 horsepower and 260 pound-feet of torque and works with an automatic transmission. The 2016 Dodge Caravan gets an estimated 17 miles per gallon city, 25 miles per gallon highway and 20 miles per gallon combined. The 2016 Dodge Grand Caravan comes in six different trim levels, such as American Value Package (AVP), SE, SE Plus, SXT, SXT Plus and R/T. The AVP serves as the base version. Standard equipment includes heated and powered mirrors, two-zone air conditioning system, title and telescoping steering wheel, and power windows and locks. The optional equipment list runs the gamut, ranging from a three-zone air conditioner and a six-speaker radio on the SE model to a remote starting system, review camera, nine-speaker radio, leather seats and a 6.5-inch touchscreen on the top-level R/T. Additional bells and whistles can be added with special packages. The AVP and SE models at Melloy Dodge can be equipped with the Uconnect Hands-free Group package. This package comes with satellite radio, steering wheel-mounted radio controls, USB port and Bluetooth connection and other features. A Power Window Group for the SE comes with power windows in the second and third rows. The SXT Plus and R/T comes with the optional Driver Convenience Group package that adds heated front seats, heated steering wheel and second and third row sunshades. Available only in the R/T trim is the Safety Sphere package that comes with rear parking sensors, blind spot and rear cross-traffic monitoring and automatic windshield wipers. The sales team at Melloy Dodge invites you to stop by and test drive the 2016 Dodge Grand Caravan. Melloy Dodge is the number-one selling Dodge and Ram dealership in New Mexico. Checkout our inventory of new and used cars and trucks at www.melloydodge.com.